LPL teams retain their Rift Rivals crown for a second year. China’s LPL earned their second Rift Rivals crown after a fiery back-and-forth relay match against Korea’s LCK, which spanned all five games. KT Rolster opened the Dalian Rift Rivals’ finals with an overwhelming victory against Invictus Gaming. KT continued to display a strong sense of early macro play and the ability to cleanly close out games with a lead in their win over IG, which gave the LCK an initial lead in the relay series. But Royal Never Give Up were quick to even up the score in the following match with a 22-minute win over SK Telecom T1. 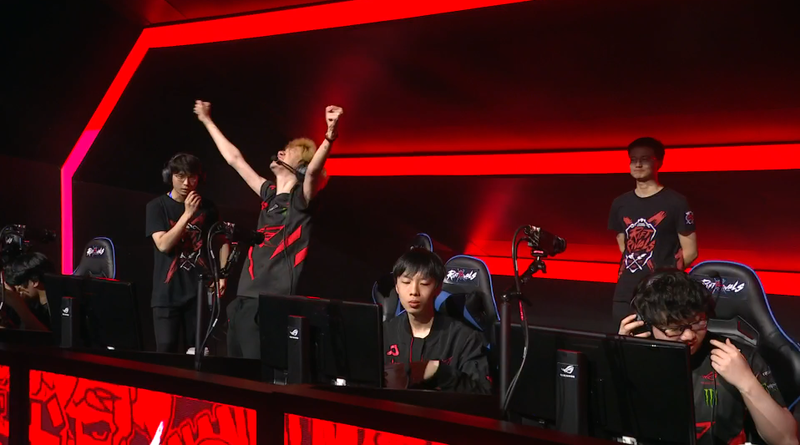 Although their loss was quick, SKT put up a valiant fight against RNG. SKT’s undoing came from a 20-minute Baron attempt. SKT gambled their victory on the early Baron, and unfortunately, they lost. RNG immediately collapsed on SKT in the Baron pit, aced their opponents, took the buff, and ended the game. Unlike the previous two games, Afreeca Freecs’ win against Edward Gaming was much closer. The two teams traded early kills, Elemental Drakes, and, of course, turrets. But Afreeca edged out EDG in vision control and overall mid-game map movement. With their control over vision, Afreeca easily secured a sneaky Baron. And like RNG in the previous match, Afreeca ended the game once they had the buff. One win away from an LCK victory, it was up to KINGZONE DragonX to close out this year’s Rift Rivals with a victory over Rogue Warriors, a team that, in theory, should be fodder for Korea’s first seed. But once again, KINGZONE tripped up on the international stage and lost. Led by their mid laner Kim “Doinb” Tae-sang’s Kled, Rogue Warriors steamrolled through KINGZONE in the late game. KINGZONE’s composition, while strong early, didn’t snowball and was outscaled by Rogue Warrior’s Kled, Gangplank, and Karthus. With the series tied at 2-2, both sides chose a representative to play in the deciding match. The LPL selected their first seed, RNG, while the LCK surprisingly chose Afreeca over the undefeated KT. Afreeca did their best to stave off RNG’s relentless attacks, despite falling behind in the early game. But through RNG’s continuous prodding, which hit harder and harder as they secured more objectives, Afreeca’s defenses soon crumbled, and so did their Nexus shortly after. With their Rift Rivals victory today, in addition to RNG’s Mid Season Invitational crowning in May, the LPL have dethroned Korea’s LCK as the strongest region in League.